Tashkent, September 27, 2017: The state-owned exhibition center “Uzexpocentre” and the German trade fair organizer IFWexpo Heidelberg signed a long-term cooperation agreement to hold the new exhibition “AgroExpo Uzbekistan”™ within the existing “Agrotech Expo”™. Both partners aim to broaden scope and depth of exhibition topics, which will now cover the whole spectrum of food processing technology, agricultural machinery and equipment, farm inputs, modern field management technologies as well as animal breeding and husbandry. The exhibition was granted the GTQ label (German Trade Fair Quality Abroad) of AUMA, which underlines its international status and quality. IFWexpo as part of German Agricultural Society (DLG – the organizer of world leading events such as “AGRITECHNICA” and “EUROTIER”) will concentrate its efforts on promoting the new opportunities of Uzbek agriculture worldwide. The agreement coincides with the liberalization of Uzbekistan’s foreign currency policy. The limitation of currency exchange has been the biggest obstacle in trading with Uzbekistan. In accordance with the Decree of the President of Uzbekistan, private individuals and businesses are now free to buy and sell foreign currency for international operations (import of goods, services, payment of dividends, credit payments etc.). This opens up enormous opportunities for international companies to develop bilateral trade with Uzbekistan. 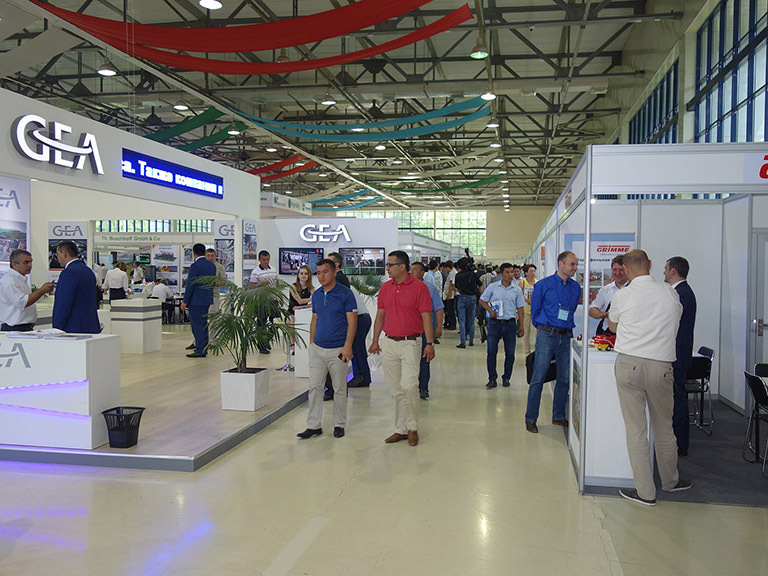 AgroExpo Uzbekistan/Agrotech Expo will take place between 29 May and 1 June 2018 on the exhibition grounds of Uzexpocentre. In 2017, as many as 7.200 visitors from all 12 regions of Uzbekistan and the neighboring countries attended the exhibition. AgroExpo is a registered trademark of IFWexpo Heidelberg GmbH, which has a good reputation in Russia thanks to leading regional exhibitions such as AgroExpo Siberia in Novosibirsk and AgroExpoVostok in Vladivostok. For more information, please visit the page. IFWexpo is the subsidiary of the German Agricultural Society and has been one of the leading trade fair organizers for agriculture, food and forestry for more than 25 years. Our main markets are Russia, Ukraine, Kazakhstan, Iran, Uzbekistan, Thailand and China. Besides international participations, IFWexpo also organizes German Pavilions throughout the world on behalf of the Federal Ministry for Food and Agriculture and the Federal Ministry for Economic Affairs and Energy.